What is Co Q 10? 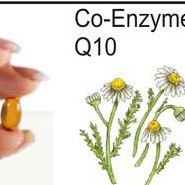 Coenzyme Q 10, otherwise known as CoQ10 or ubiquinone is an important nutrient for energy production and is a potent antioxidant that guards against oxidation of lipids. It resides in the membrane of the mitochondria of every cell in your body. Your mitochondria are like furnaces that burn fuel and produce energy. Co Q 10 is that essential ingredient like the spark that ignites the wood in a fireplace; you can’t burn fuel without it. It keeps the fires going. If you have issues with energy, consider supplementing with CoQ10. Co Q 10 deficiency can occur if you have inadequate intake or internal production or increased use. Your levels decrease with age, drugs like beta- blockers, and statins for lowering cholesterol, as well as sun exposure. Many other nutrients are needed to produce CoQ 10, therefore, nutrient deficiency can affect your internal production, Only small amounts are available from food such as chicken and beef so consider taking a supplement. It is best absorbed in an oil base and products vary considerably in their absorption. Highly absorbable products generally cost more, however you need a lower dose to get the same effects. Get advice from a healthcare professional when purchasing and consider having a micronutrient analysis to determine if you lack CoQ 10 and the other nutrients necessary to produce it. Lorraine Maita, MD is an award winning physician, speaker and author of “Vibrance for Life: How to Live Younger and Healthier”. She is a consultant to corporations wanting to improve the health and productivity of employees and has a private practice in Anti Aging Medicine in Short Hills, NJ.